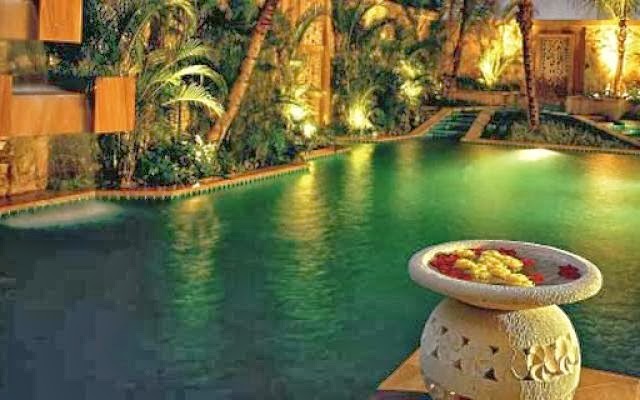 The Banjaran Hotsprings Retreat in Perak is easily accessible via a 15 minute drive from Ipoh city or then a two-hour drive from Kuala Lumpur. The retreat, which occupies a setting amongst large limestone karst formations and geothermal hotsprings, is known for its extensive holistic treatment menu featuring various Ayurvedic therapies and Malay healing rituals. The resort encompasses seven verdant acres and has a naturally heated pool and steam cave onsite. The Gayana Eco resort is set on the outskirts of a virgin rainforest on Gaya Island, one of the five islands located within the famed Tunku Abdul Rahman Marine Park. The resort can be easily accessed via a short ferry ride from the city of Kota Kinabalu. Accommodations at the resort consist of 52 luxe water villas on stilts. The resort also has onsite a marine ecology research canter and offers facilities for various activities like diving, snorkeling, kayaking, jungle-trekking and more. The Solace spa at the resort offers an extensive menu of pampering and rejuvenating treatments which are administered at its individual spa suites outfitted with showers and whirlpools. The Bunga Raya Island resort is the sister-resort of the Gayana eco resort and shares its facilities like the Marine Ecology Centre. The resort is outfitted with expansive villa accommodations and each villa is equipped with terraces affording views of the lush jungle or the South China Sea. The spa pavilion and treatment rooms at the resort seem truly one with nature as they have been built into the dense jungle terrain that covers the island. The spa at the Bunga Raya Island resort offers a variety of traditional Asian and western treatments featuring the restorative powers of native plants, essential oils and locally sourced ingredients. The spa also uses the world-renowned, upscale Kerstin Florian range of aromatherapy and skin care products for its treatments. Well-trained therapists employed at the spa administer a wide range of massages, scrubs and facials like aromatherapy massage, bamboo massage, foot reflexology and more. 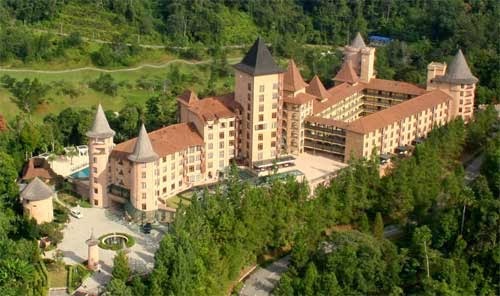 Modeled on a 18th century ‘Haut Koenigsbourg’ castle in Alsace, France, ‘the Chateau’ is regarded as one of Malaysia’s leading spa destinations offering the best in health and wellness enrichments. Set amongst an ancient rainforest in the Berjaya Hills, on the outskirts of Kuala Lumpur, the Chateau can be accessed by a 45 minute drive from the city center. The treatment menu at the Chateau is extensive and features a wide range of massages, exfoliating treatments, facials, wraps and scrubs for both men and women. Other invigorating facilities at the Chateau include a Salt Groto, a Sauna-Steam room, a salt-water pool, an herbal bath, an aquaveda bed and an aromatherapy hydro-pool.